A “DWI” is defined in Springfield Missouri as driving any motor vehicle with a blood alcohol content (BAC) of 0.08 or greater. § 577.010.2, RSMo 2015. However, it is defined as a BAC of 0.04 when the driver is operating a commercial vehicle, and no provision is given for drivers on private roads or property. § 302. 302.1, RSMo 2015. This means that commercial drivers are held to a much higher standard when it comes to the use of alcohol when driving, and are thus much more at risk for arrest and conviction when it comes to a DWI. The traffic laws of Springfield Missouri are also much more restrictive on taking away one’s CDL in the event of a conviction. Most persons convicted of driving while intoxicated can regain their license or reduce the punishment imposed on them by taking state-run courses and passing applicable tests. However, a person who loses their CDL due to intoxicated driving will not be able to regain their license through such programs. This places intensive pressure on owners of a CDL to avoid alcohol at all costs when driving a commercial vehicle, since not only will a smaller amount of alcohol cause them to lose their license, they will have increased difficulty in earning it back. However, the law is not unrelenting on persons with a CDL who may be convicted of driving under the influence. The law first requires that the person be driving a commercial vehicle at the time, and does not apply when the person is driving their personal vehicle or any other vehicle not defined as a commercial vehicle in § 302.700.1, RSMo 2015. This means that if you have a CDL and are pulled over for being intoxicated when you are in your personal vehicle, you are subject not only to the increased 0.08 BAC standard, you are entitled to the increased protections and more lenient license reinstatement policies given to non-CDL drivers. 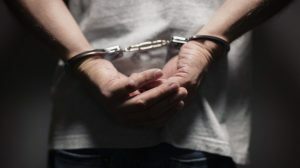 Additionally, even a person who is convicted of driving while intoxicated behind the wheel of a commercial vehicle will still receive the benefits of more lenient sentences for first-time offenders. § 577.012.1, RSMo 2015. This enables a driver who changes his behavior to regain his CDL through the completion of alcohol abuse treatment programs and confirmations of improved behavior. Therefore, while it is important for owners of a CDL to be aware of the more stringent standards imposed upon drivers of commercial vehicles, they can still come back from a DWI by joining the proper programs and serving the necessary probationary period.